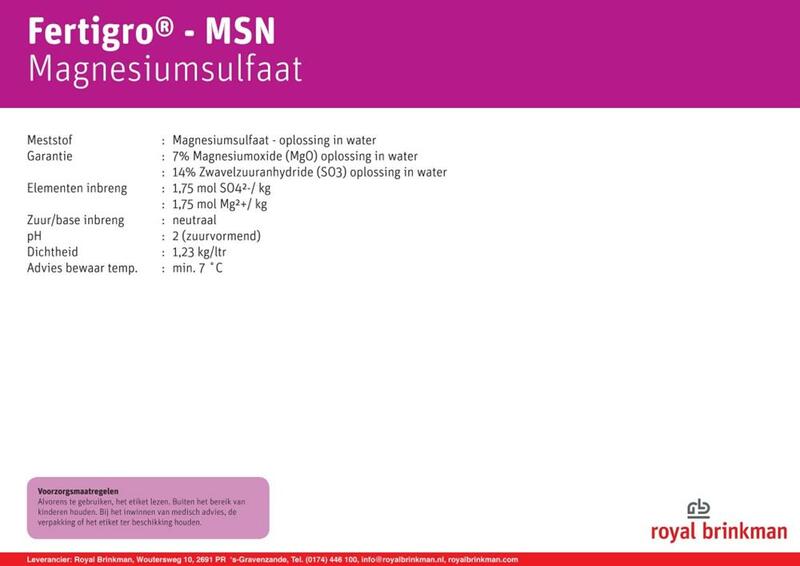 Fertigro MSN can be used for the addition of magnesium and sulphate. The product should be dissolved in the B-bin, to prevent precipitation with calcium and is also suitable for foliar fertilization in case of magnesium deficiency. Fertigro MSN stems from a chemical reaction and is therefore excluded from authorization in organic farming.